How to repair your cracked windshield on your own? You may have to confront with a cracked windshield at any time. Imagine you are traveling on a busy road negotiating the heavy traffic. Suddenly, a stone struck your windshield leaving a crack on it. You are forced to send your car to the garage for a day or two and this brings your travel plans to a standstill. You have no car to go to the office, drop and pick your school-going children, and even cannot visit your ailing parents. Even visibility is an issue while driving home or to the garage with a cracked windshield. You get the windshield replaced, but nothing can compensate for the loss of time. Worst of all, it adds to the insurance premium. Explore the Car Windshield DIY Repair Tool Kit that makes it easier to repair your windshield in a few minutes and without loss of time or money. 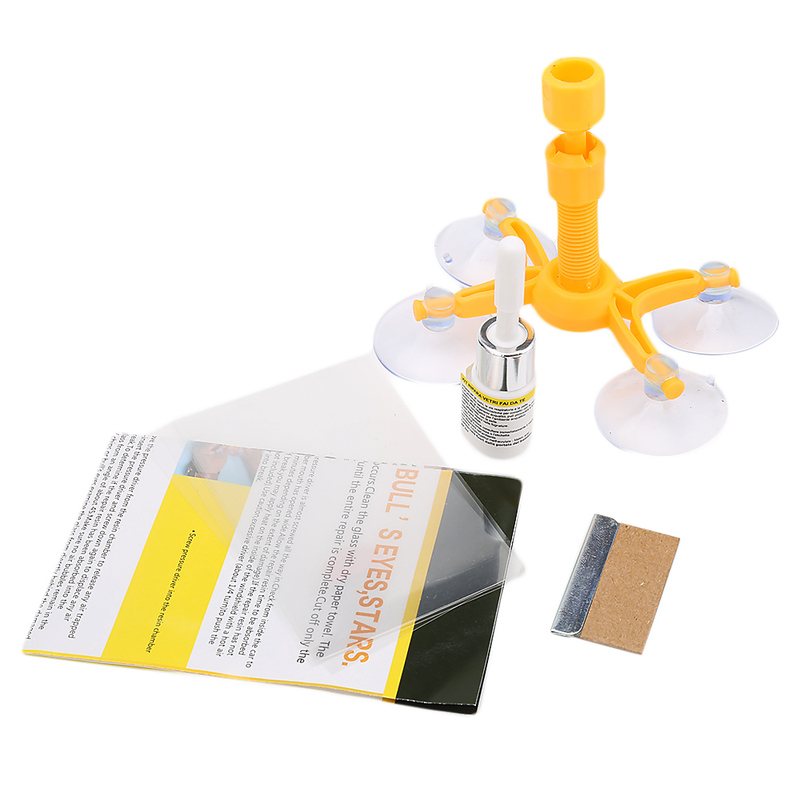 The windshield DIY repair kit can fix an array of damages to the laminated windshields. It helps minimize the appearance of cracks while the adhesive goes deep into the chips binding glass pieces tightly. This avoids cracks from extending. All that you can do on your own in a few minutes and there is no need to stay away from your car. It is a must-have if you own a car or drive a cab. Hurry up and order this till discounted price stocks are there.